Star Witness mare Musical Query has registered her second win at her second start this preparation, taking out the Plumbing and Pipelines Solutions BM70 Handicap over 1000m at Saturday’s Morphettville Parks meeting. The mare was purchased relatively cheaply in May of this year and she came to Minervini Racing with some decent sprinting form on the strong NSW provincial circuit. Arriving race-fit, Minervini tried the mare three times on wet tracks over the winter, with mixed results. It was then decided that what the mare needed was a good break, and he sent her for a spring spell. Returning to the races over the shorter course of 906m at Murray Bridge, mid-last month, Musical Query recorded a strong win, suggesting the rest had done her the world of good. Star rider Jamie Kah - who rode Musical Query at Murray Bridge, again teamed with the mare for Saturday’s city assignment and they maintained their perfect record. 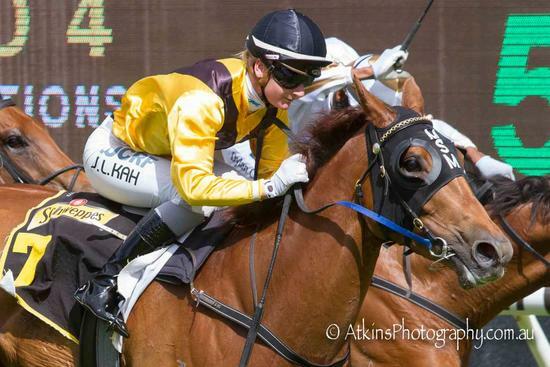 With only the one corner to navigate, Kah was content to sit three-deep in the small field and Musical Query travelled well and joined the leaders strongly upon straightening before pulling away near the line to record her first metropolitan win. Saturday’s win was Musical Query’s sixth from only 18 starts, and she takes her earnings to over $100,000. Congratulations to the ownership group of Ivan Kozuh, Michelle Minervini, Mark Minervini, Ian Pettinger, Maria & Jack Savva, Michael & Rosy Stennett.